One of the questions we are frequently asked by Landlords struggling with difficult or bad tenants is ‘How do I evict this tenant? '” says Director, Matthew Charlesworth. The most important thing to remember if you have been unfortunate enough to gain a tenant from hell is there are legal steps you can take to get them out of your property and out of your life. The traditional way to evict a tenant in the UK is to issue a ‘Section 21’ notice to quit using Form 6A.You must serve this notice at least two months before you wish to re-take possession of the property. It must be in writing and state the date in which you will take possession of the property. (e) where a property requires a licence but is unlicensed. before you apply to the Court for a Possession order. If you are desperate to be rid of a tenant who is hundreds of pounds in arrears of rent and has the police around so much you are thinking of charging them as they may as well live at the property, then you may be able to use the Accelerated Possession Procedure to gain occupation quicker. However, the Accelerated Possession Procedure does not always live up to its name and can take just as long, (if not longer) as the traditional route. To apply to the court for Accelerated Possession, you still need to serve a Section 21 Notice two months before the date you wish to take possession. The reason the procedure is known as ‘accelerated’ is because rather than requiring a court hearing, the Judge will make his or her decision based on the paperwork provided by your solicitor/agent. If you want to claim rent arrears you can use the standard possession procedure. Or you can use the accelerated procedure to get your property back and then make a separate court claim for the rent arrears. When you apply to the court for accelerated possession, the court will send your tenants a copy of the application. Once the possession order is granted, notice will be served on the tenant by the Court. 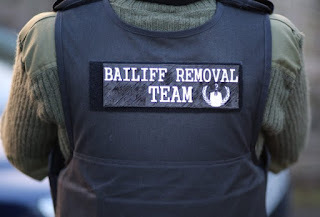 If they fail to leave the property, the Court can send a bailiff to the premises to remove them. However, it is important to note that this can take up to four to eight weeks. During this time you are unlikely to be paid any rent. In cases of an extremely stubborn tenant who uses every trick in the book to delay or circumvent a possession order, a landlord can apply to transfer the enforcement of a Possession Order obtained at the County Court via a writ of fi fa to the High Court. If successful, a High Court Sheriff will turn up on the tenant’s doorstep within seven days of the writ of fi fa being issued, without any prior notice given. They also have the power to seize goods if rent arrears are owned. High Court Sheriffs are much more expensive than County Court bailiffs, but you may find, when balancing up the loss of rental income, not to mention the personal stress experienced waiting for a bailiff to execute his or her duties, the cost is well worth it. 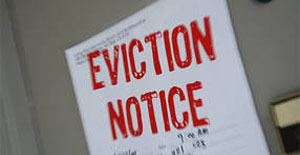 Evicting the tenant from hell is not a straight-forward process, but with Bullock & Lees’ assistance and good legal advice, the procedure can run smoothly and efficiently, leaving you free to recover your lost sleep and sanity and obtain new, responsible, law-abiding tenants who will care for your property and pay their rent on time. 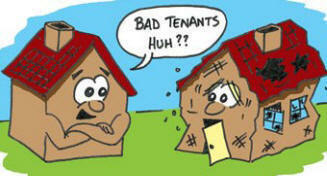 In fact, why not take all the stress out of managing your property, and let us find new tenants and manage it for you! Call us now for your free valuation and to discuss your management requirements! 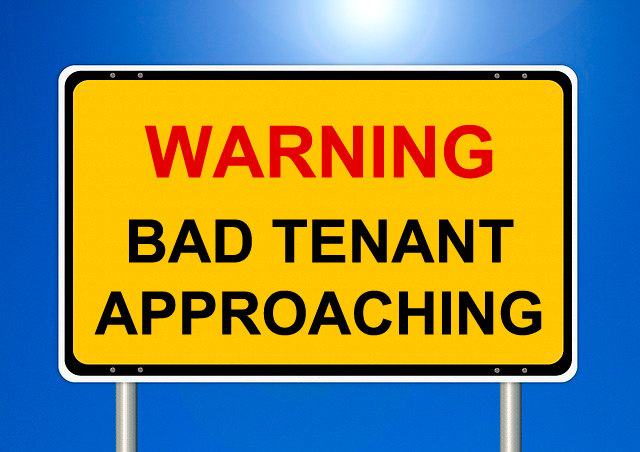 Look out for our next blog post – Nightmare Landlords and how to avoid them!